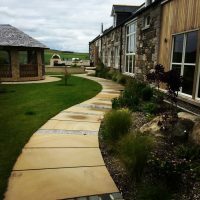 Based in Aberdeen, Papillon Landscaping design and build fantastic gardens throughout Scotland. 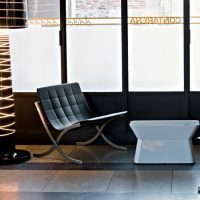 We also sell an exclusive range of Biossun Pergolas, designer outdoor furniture and lighting. Papillon is an award-winning Garden Design and Landscaping company in Aberdeen. We offer professional, bespoke garden design services, friendly expert advice and landscape construction to customers throughout Scotland. As one of Aberdeen's leading Landscaping Companies and with some of the best qualified, highly-motivated garden designers and landscape architects in our team, we will help you make the most of your precious garden space, by designing and building the garden you have been dreaming about. 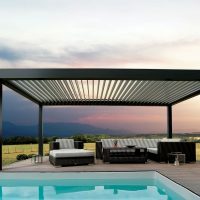 Biossun aluminium pergolas - A unique multi-faceted solution, stylish, strong and weatherproof, based on the concept of sun shades. At Papillon Lanscape Design we love what we do, and we do what we love. That means we never tire of new challenges and seeing the delight on our clients' faces when we have transformed their ordinary, unremarkable garden space into the garden of their dreams. We believe in unlocking the full potential of every garden - no matter how big (or how small). We think your garden space should be easy to maintain, a place you can relax and enjoy all year round. A true extension of your home and the way you live. If you feel the same then we'd love to hear from you. With 8 year's experience and the relevant qualifications to back it up, the Papillon Team are a hard-working, professional and extremely friendly bunch. We'll listen carefully to your requirements during the design phase, and then come up with a bespoke scheme and layout just for you. Then we'll put it together with the minimum of fuss and disruption, so all you have to do is sit back and enjoy your new garden space. In progress!!! A strong shape suits a front..
#nationalgardeningweek see what’s on for..
World Economic Forum Small but significant.